← New Album, New Sound, New Daughtry? K-pop fans, especially BANAs and DAISYs rejoice! Rising Hallyu stars B1A4 and Girl’s Day will be on our sunny island this November and you have the chance to get up-close and personal with them. Proudly brought to you by Asia’s leading M.I.C.E company Sphere Exhibits and Embassy of Korea, Singapore’s biggest K-pop fan celebration, KStar Fan Fest 2014 is set to take place at Marina Bay Sands Convention Hall on 21st and 22nd November 2014. Centred on what fans want and crave, the festival promises eventgoers with non-stop excitement and unprecedented access to their idols. Some of the privileges of the event include seeing your idols at work during the Sound-check party, a Hi-five session and even a chance to meet the idols face-to-face by winning Backstage Passes via fan contests. Celebrity Hallyu fans from Singapore’s social media scene, including Deekosh, Rachel Wong, Evelyn Quek, and Sylvia Tham will also be there to grace the event as well as to share and spread the Hallyu excitement. 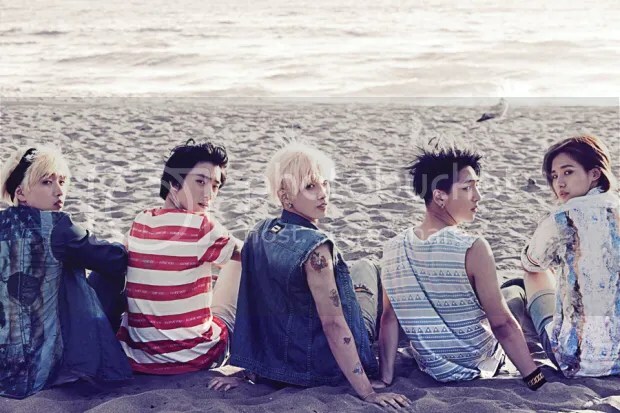 Quintet Boy Group B1A4 – Let’s Fly B1A4! In addition to the two-day lineup, pre-event discounts, contests and promotions will also be announced on the official website (www.kstarfanfest.com) and supported by shoutouts from other Singaporean bloggers such as Miyake Ng, Yutakis James, Chloe Choo and more. Early Bird Promotions run from 18 Oct to 2 Nov 2014 – 5% Discount on all categories except VIP and 2-Day Passes (Discount Code: KSTARFF)2-Day Pass Package Promotion runs from 18 Oct to 2 Nov 2014. Visit any of the authorised agents and event partners located in Singapore to purchase your tickets from 27 Oct 2014 onwards. While stocks last. Payment by cash, NETS and all major credit cards.